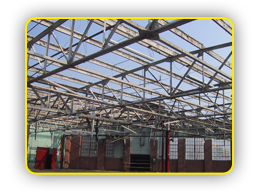 At Lions, we demolish structures with the kind of precision and planning needed to complete each project on time without accident or delay.Â Â We practice the "3 R's" efficiently diverting waste from landfills by salvaging, sorting of materials onsite.Â We can help you meet your LEED requirements. 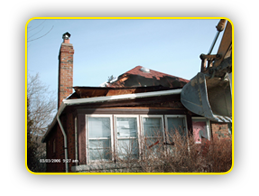 Lions have over 20 years of experience in the demolition of residential houses with the urban environment.Â Tight timelines and dense surroundings are common obstacles we overcome. 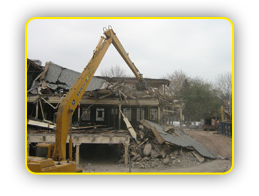 Our ability to get even the toughest job done make us the demolition contractor of choice for any urban environment. Lions has extensive experience interior strip-outs and removals, our personnel are well trained courteous professionals who understand the challenges of working in occupied buildings.Â Â Our strategies and innovative procedures enable us to complete the work within tight time frames. 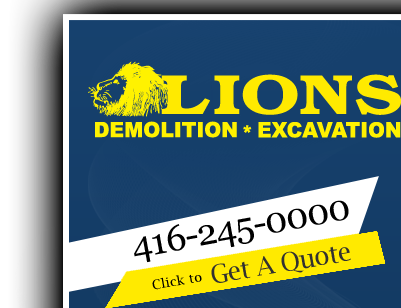 Lions owns an extensive fleet of equipment from excavators equipped with attachments (pulverizers, grapplers, shears, hammers) to bobcats, graders and compactors.Â We have the equipment you need to complete the project safely and cost effective.Â Whether itâ€™s manufacturing plant, office building, retail mall, sports complex, derelict building, Lions has the equipment and experienced professional to complete the work in a timely manner.